Bangladesh is not some Scandinavian heaven. It is poor and overpopulated, undereducated and corrupt, frequented by natural catastrophes, experiences occasional terrorism, and the farcical nature of its democracy was exposed in the December 2018 elections. But the earlier caricature of a country on life support disappeared years ago. Today, some economists say it shall be the next Asian tiger. Its growth rate last year (7.8%) put it at par with India (8%) and well above Pakistan (5.8%). The debt per capita for Bangladesh ($434) is less than half that for Pakistan ($974), and its foreign exchange reserves ($32 billion) are four times Pakistan’s ($8bn). Much of this growth owes to exports which zoomed from zero in 1971 to $35.8bn in 2018 (Pakistan’s is $24.8bn). Bangladesh produces no cotton but, to the chagrin of Pakistan’s pampered textile industry, it has eaten savagely into its market share. The International Monetary Fund calculates Bangladesh’s economy growing from $180bn presently to $322bn by 2021. This means that the average Bangladeshi today is almost as wealthy as the average Pakistani and, if the rupee depreciates further, will be technically wealthier by 2020. Other indicators are equally stunning. East Pakistan’s population in the 1951 census was 42 million, while West Pakistan’s was 33.7m. But today Bangladesh has far fewer people than Pakistan – 165m versus 200m. A sustained population planning campaign helped reduce fertility in Bangladesh. No such campaign – or even its beginnings – is visible today in Pakistan. The health sector is no less impressive – far fewer babies die at birth in Bangladesh than in Pakistan. Immunisation is common and no one gets shot dead for administering polio drops. Life expectancy (72.5 years) is higher than Pakistan’s (66.5 years). According to the International Labour Organisation, women are well ahead in employment (33.2%) as compared to Pakistan (25.1%). None should be more surprised at these new developments than those West Pakistanis – like me – who went to school during the 1950s and 1960s and grew up surrounded by unconcealed racism. Short and dark Bengalis were reputedly good only for growing jute and rice and catching fish. They were Muslims and Pakistanis, of course, but as children we were made to imagine that all good Muslims and real Pakistanis are tall, fair, and speak chaste Urdu. We’d laugh madly at the strange-sounding Bengali news broadcasts from Radio Pakistan. In our foolish macho world, they sounded terribly feminine. Thirsting for vengeance, Pakistan’s establishment could think of nothing beyond wounded honour and ways to settle scores with India. Zulfikar Ali Bhutto’s secret call for the nuclear bomb led to the famed Multan meeting just six weeks after the surrender. That centralisation of authority breeds local resentment remained an unlearned lesson. In 1973, Bhutto dismissed the National Awami Party government in Balochistan and ordered military action, starting a series of local rebellions that has never gone away. In doing so, he re-empowered those who ultimately hanged him. For Pakistan, human development comes a distant second. The bulk of national energies remain focused upon check-mating India. Relations with Afghanistan and Iran are therefore troubled; Pakistan accuses both of being excessively close to India. But the most expensive consequence of the security state mindset was the nurturing of extra state actors in the 1990s. Ultimately they had to be crushed after the Peshawar school massacre of Dec 16, 2014. This, coincidentally, was the day Dhaka had fallen 43 years earlier. 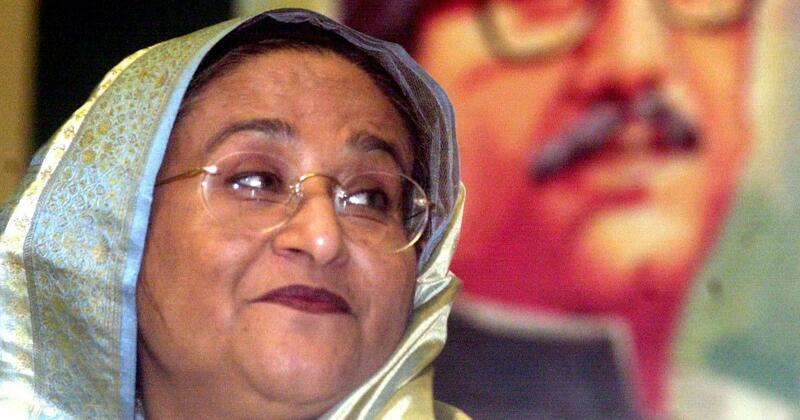 Bangladesh is conflicted by internal rifts. Still, being more multicultural and liberal, its civil society and activist intelligentsia have stopped armed groups from grabbing the reins of power. 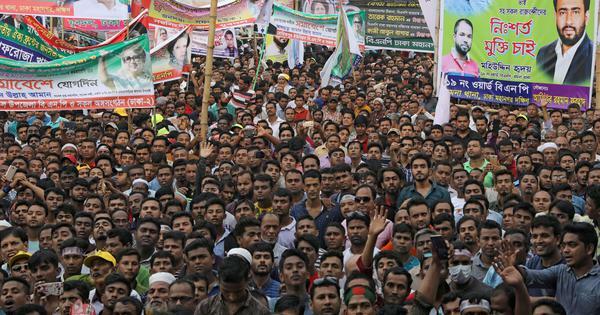 Although elected or quasi-elected Bangladeshi leaders are often horribly corrupt and incompetent, they don’t simply endorse decisions – they actually make them. Ultimately responsible to their electorate, they are forced to invest in people instead of weapons or a massive military establishment. For Pakistan, these are lessons to be pondered over. China-Pakistan Economic Corridor or no China-Pakistan Economic Corridor, it’s impossible to match India tank for tank or missile by missile. Surely it is time to get realistic. Shouting “Pakistan zindabad” from the rooftops while obsequiously taking dictation from the Americans, Chinese, and Saudis has taken us nowhere. Announcing that we have become targets of a fifth-generation hi-tech secret subversion inflames national paranoia but is otherwise pointless. Instead, to move forward, Pakistan must transform its war economy into ultimately becoming a peace economy.